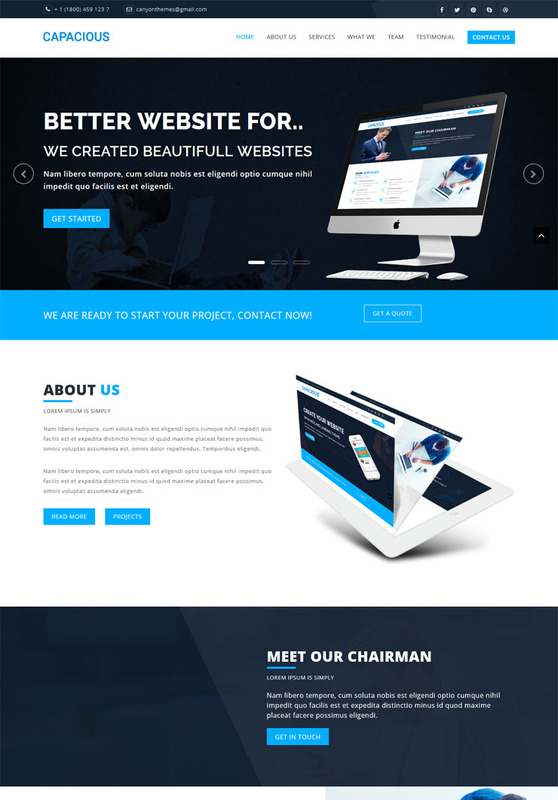 Capacious Pro is a clean, responsive professional-looking multi-purpose theme with both responsive and retina ready. Capacious Pro is built for businesses, web apps, or general company site to promote your services as well as suitable for any type of business houses, corporate offices etc. It offers a massive roster of features, implemented in order to improve and complement any website. 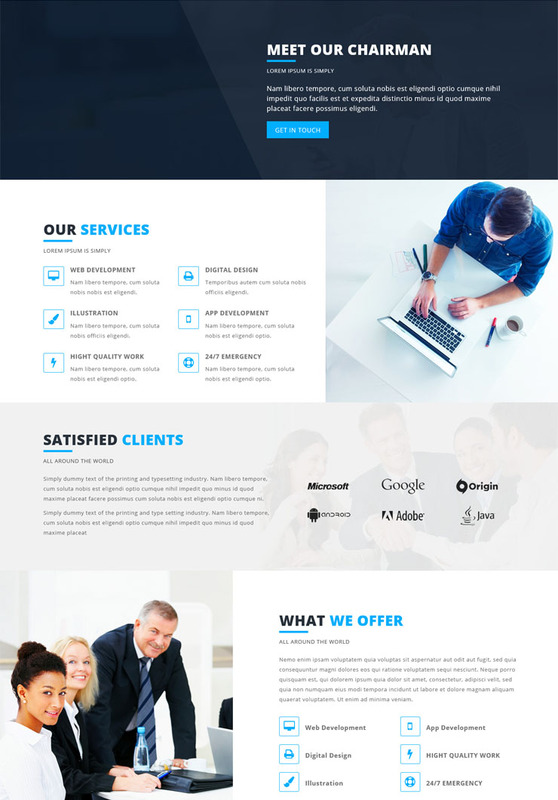 Capacious Pro theme is also one page ready theme, you can easily design this theme on one page sites too. It includes slider section, about section, service section, what we section, team section,Testimonial section, blog section, contact section. It is easier to operate. Capacious Pro is translation ready theme, you can change the theme on your own language. 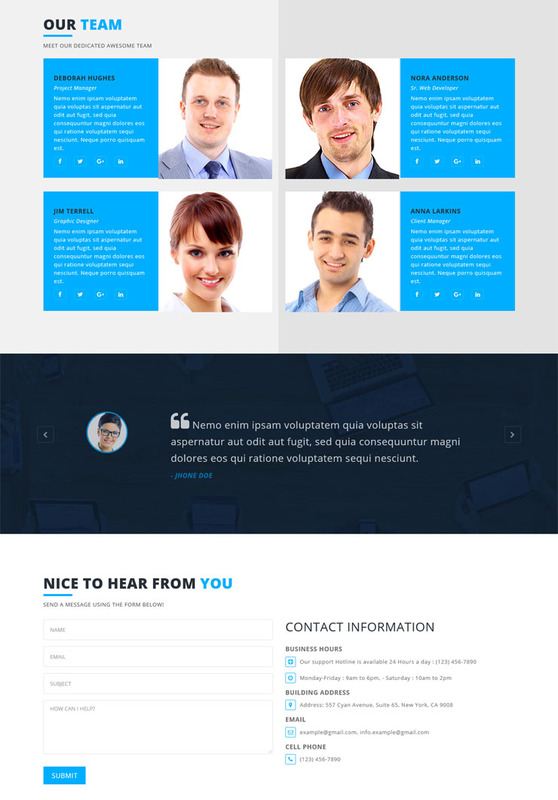 A SEO friendly theme. It is light weight theme with highly customizable theme customizer. With its advanced setting, you can control featured section, homepage, sidebar and inner pages. You have full control over header setting and footer section. You can change whole site color with every section options. With the custom CSS and custom background image option, you can further customize your site. In the single post, you can show-hide related posts. Also with extra theme options, you can add breadcrumb and search placeholder. The theme comes with reset options too. Available unlimited color options help you to change the color of every section of your site. This theme comes with unlimited google font options. Use this theme and feel the best experience ever. Different layout options for blog and archive page will help you to change the blog page layout easily. Preloader options will be very helpful to see the loading of the site with the attractive way. Change your search placeholder easily from the customizer. Capacious Pro comes with different layout for pagination. You can change the pagination default and numeric. Due to the different button design, you can change the button design easily. Try this it's awesome. Breadcrumb options comes with advanced and default. You can easily change it from customizer. Theme is compatible with all major browser. No problem which browser is user using. Want to Sell product from you site or start new WooCommerce site. Canyon Themes is team of WordPress developers. Who got a passion for creating, elegant, light weighted and awesome WordPress themes and HTML templates. Its dedicated support team will help you on every problem you faced. © 2019Canyon Themes. Ltd. Trademarks and brands are the property of their respective owners.